Andy is the senior surveyor in the company and Technical Director. 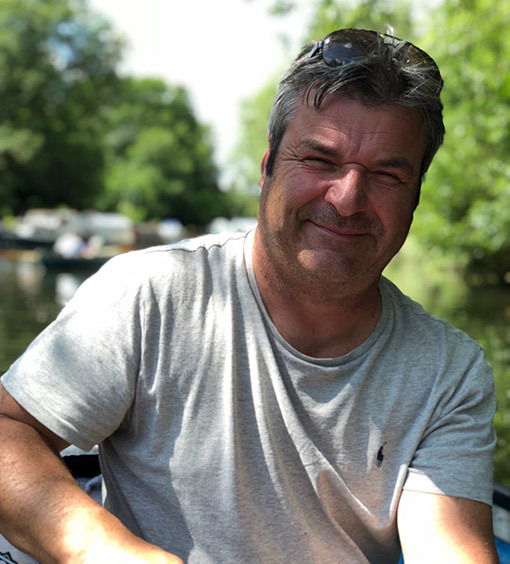 Andy graduated with a Geography Degree in 1981 and took on ‘temporary’ work with RLH Group as an operative while he continued in education – taking certificates in Postgraduate Building Surveying and Ecology and Conservation. He stayed with RLH, first training as a surveyor and then becoming a Director when RLH Developments separated from RLH Group in 1986. 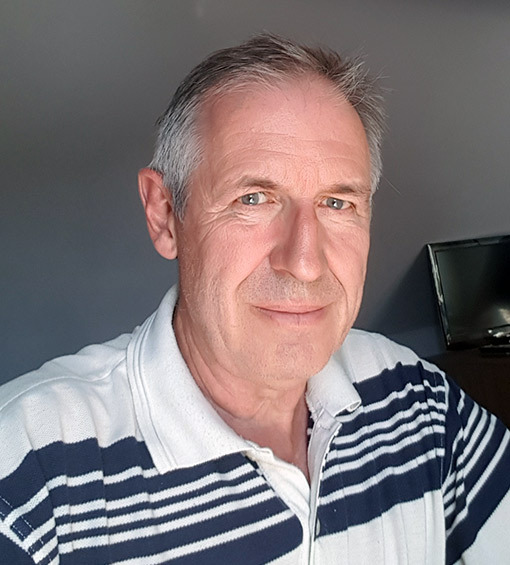 Now, 35 years after taking that temporary job, Andy is joint owner of the company and oversees the surveying and contracts as well as the more technical aspects of the business. Andy has been a long-term member of SPAB (Society For the Protection of Ancient Buildings) and his spare time is spent with his family, the dogs, and all things geology based plus a keen interest in photography. Kerri came from a background in the oil and coal industry, property management and a surveying practice, before joining RLH in 1994. Working as Business Development Manager and then becoming Director, Kerri obtained ownership of the company in 2017 with her husband Andy after the retirement of then senior partner and friend Julian, who originally formed RLH Developments in June 1980. Kerri has attained IOSH Managing Safely and has diplomas in Business Management with Accounting and Book keeping with Accounting. She is also trained in UKATA Asbestos Awareness, Working At Height and Manual Handling. She is responsible for Health and Safety, Business Development, staff training, human resources, client PQQ processes, Service Level Agreements, Framework Agreements and company accreditations. She ensures that the Quality Management System and all policies and processes are in place and regularly communicated to staff to maintain RLH’s excellent standards. When she is not working, her family and menagerie of rescue animals keep her sane! Mark joined the company in early 2016. With a background in all aspects of plastering, Mark’s experience is absolutely invaluable in ensuring works are carried out to a technically high standard. Mark ensures that the operatives are given the full benefit of his extensive plastering knowledge and expertise. He is responsible for organising all the jobs, and for liaising with clients, contractors and home owners to ensure that the works are carried out with the least possible disruption to home owners and tenants. Mark has attained UKATA Asbestos Awareness, Manual Handling, Working at Height, Face Fitter and SSSTS (Site Supervisors Safety Training Scheme). He loves spending time holidaying in Wales with his young family and dog when he is not looking after the RLH teams and clients. Louise joined RLH in 2017 as our Office Manager, after the retirement of our former Office Manager, Jo. It was important that we found someone who could live up to Jo’s incredible standards, and we found her! Lou is proficient with Access and Excel and her spreadsheets keep us all very well informed. As Office Manager, Lou oversees the running of the office, keeps a tight rein on credit control and has a brilliant working relationship with all our clients, both private and commercial. She is exceptionally well-organised, and ensures that all the surveyors’ and operatives’ documents are always valid and our Procedures Manual for clients’ requirements are always up to date. Outside work, she is fully occupied with her young family - but still manages to be a keen netball player! Tracey joined the RLH team in 2014, having had previous extensive experience in the construction industry. She is the welcoming and cheerful voice you usually hear on the phone and is integral in the running of the office. 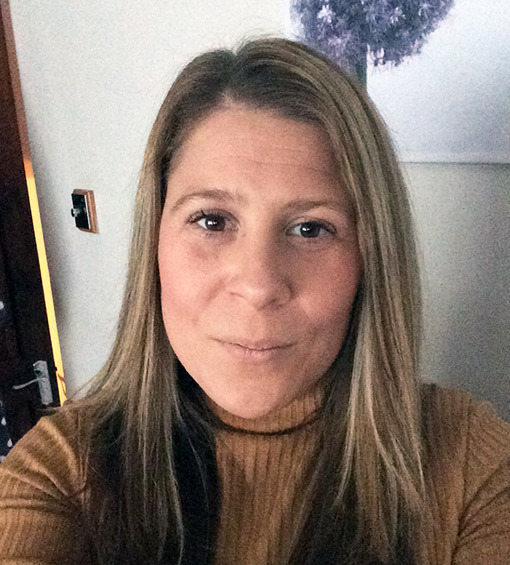 She manages the surveyors’ diaries, processes the survey reports, operates the client / sub-contractor portals and liaises with tenants, clients and surveyors to ensure the whole operation is running smoothly. Tracey’s excellent organisational skills include knowing exactly what is on the work-board and regularly updating us with her workflow charts. She is an absolute natural with clients and home owners and totally approachable to anyone who calls, she always goes out of her way to make sure everything is as it should be and we are all happy! 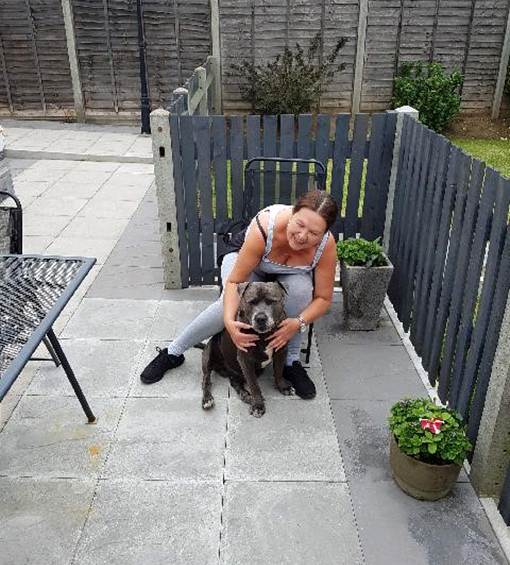 When she is away from the RLH team, Tracey’s time is taken up with her family and Staffy, Charlie - who is not only one of the company’s many four-legged mascots, but is generous enough to buy Christmas presents for all the RLH dogs every year! Our surveyors are qualified to CSRT (Certified Surveyor of Remedial Treatments), each with many years’ experience in this specialist field.Our surveyors also have the CSSW qualification - Certificated Surveyor in Structural Waterproofing - a nationally recognised professional qualification for individuals involved in diagnosing problems with water entering structures below ground level and for those who recommend design solutions. Many of our operatives have been with RLH for decades, undertaking remedial works to the highest standards of workmanship and safety. All site operatives are holders of the CSCS Health and Safety Blue Skilled Workers Damp Proofing and Wood Preserving Card. We are also supporting all our Operatives to gain the NVQ Level 2 in Damp Proofing and Wood Preserving. All operatives have been DBS (Disclosure and Barring Service, formally CRB Criminal Record Bureau) vetted and approved. All of our operatives complete annual UKATA Asbestos Awareness training, Working at Height, Manual Handling and have been Face Fitted in addition to a comprehensive health and safety training program. We also complete regular health and safety audits and provide regular training to our team members to ensure they are trained in all aspects of safe and quality work practices.